Creative Commons Image by Gratuit. I am “The Secret Gourmet” and the latest member of the growing team at NJInsideScene.com. 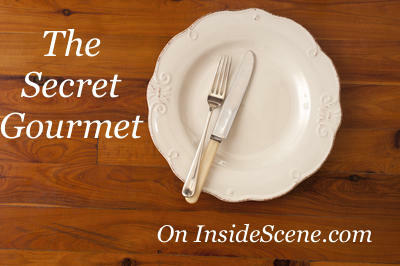 I’m thrilled to share with you my first stop on The Secret Gourmet’s restaurant review tour. I plan to head soon to a restaurant near you. However, because I like to dine in secret, you won’t even know if I’ve been to you…except after I’ve given you my review. Last night I made a stop in Morris County and visited Lemongrass Viet-Thai Restaurant located in Morris Plains on 1729 Route 10 East. Just before the Kohl’s Shopping Center sits this unique little restaurant that has been there since 2009. James Wang opened the doors after he grew up in the restaurant business. His family hails from Vietnam and Thailand. As a boy he would go and visit his uncle who owns a Viet Thai restaurant in Canada. It was The Secret Gourmet’s second visit. 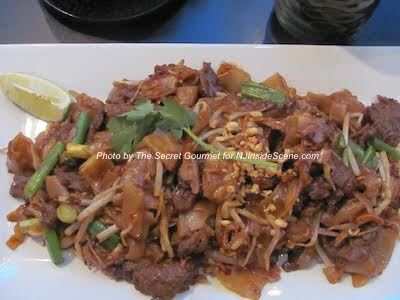 Of course, the Pad Thai was the favorite dish that most diners order. You can order the dish with shrimp, chicken or beef. 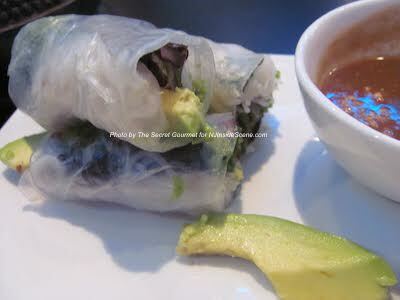 My dining partner and I enjoyed the summer rolls wrapped in rice paper bean sprouts and the Thai Tom Yum Soup. It comes in a savory broth and you can order the soup with shrimp, chicken or fish, The soup was delicious, with the freshest vegetables cooked to perfection with just the right light crunch. The broth had delicately permeated the ingredients offering a flavorful sensation for the palate. Summer Rolls at Lemongrass. Photo by The Secret Gourmet. Next I asked the wonderful Manager Charles what he enjoyed most as a main meal and he responded without hesitation the Beef Pad See Ew. Naturally, I had to order it. It was sensational. The beef was a thinly sliced flank steak that was heavenly marinated and coupled with bean sprouts, scallions and wide rice noodles. A must have if you enjoy beef. Beef Pad See Ew at Lemongrass. Photo by The Secret Gourmet. The staff was very accommodating as my dining partner ordered a dish with pork meatballs and decided they didn’t want it. Without hesitation they quickly retrieved the dish and my friend’s new order appeared in what seems like minutes. James said his entire staff has been with him since day one. He is very proud of that fact explaining that the restaurant business often has a very high turnover. The staff was wonderful and the ambience attractive. It is a BYOB. The prices are extremely reasonable with main dishes ranging between $12 and $17. Fish dishes are based on market price. A newlywed, James told me he celebrated a destination wedding in the Turks and Caicos. The honeymoon to France and Italy will have to wait until next year. The restaurant is only closed on Thanksgiving and delivers within a five-mile radius. Worth the trip – highly recommended four (4) out of five (5) stars. Like our restaurant review? Stay on the scene with NJInsideScene.com for more and click here to follow all of our stories on Facebook.